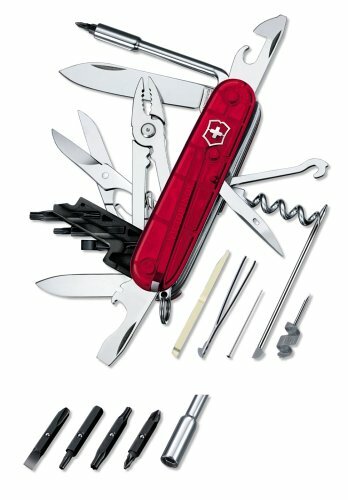 Featured here with reviews are some of the best Victorinox and Wenger Swiss Army knives. 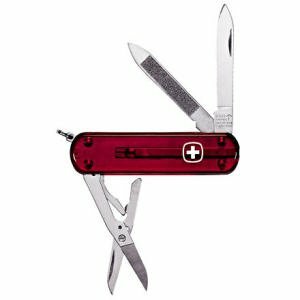 These knives include Swiss Army knives for women, knives with scissors, knives with cigar implements, cyber tools, pink Swiss Army Knives for ladies and much more, as well as where to buy a Swiss Army knife online at the lowest prices. 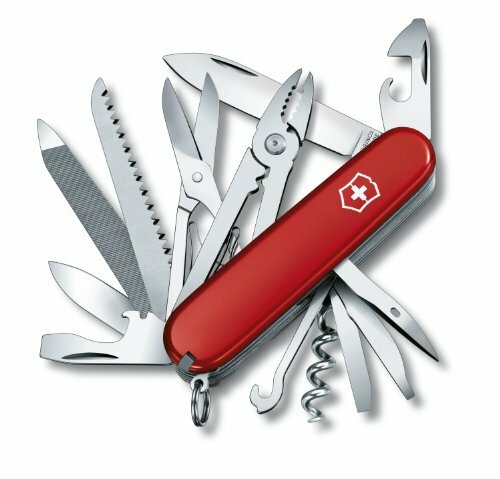 There’s a Swiss Army knife for every person and every purpose. 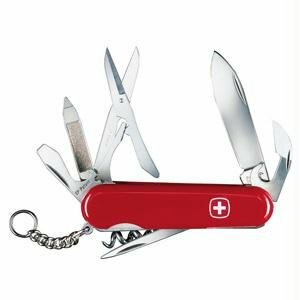 You may not require the large 87 piece model but the selection below will enable you to find one that works best for your needs. 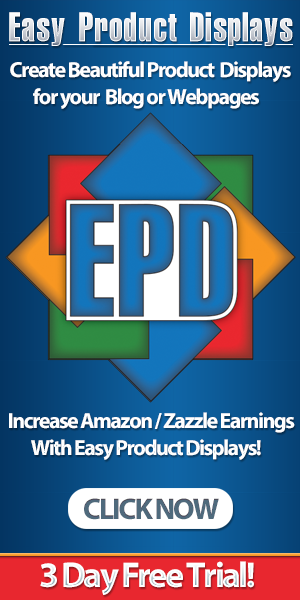 Perhaps you’re a DIY handyman or a professional electrician or maybe you’re an avid hunter or fisherman. 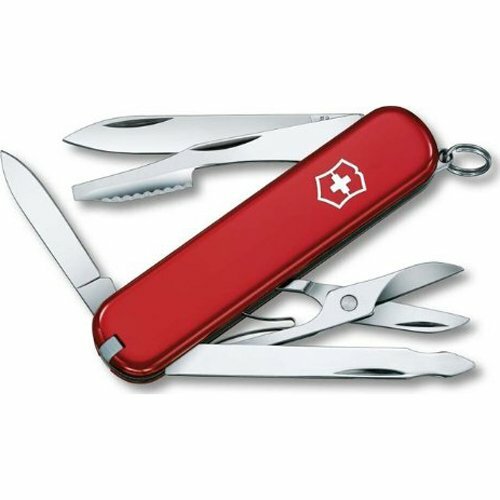 Whatever you do and whatever your needs are, you’re sure to find the perfect Swiss Army knife! 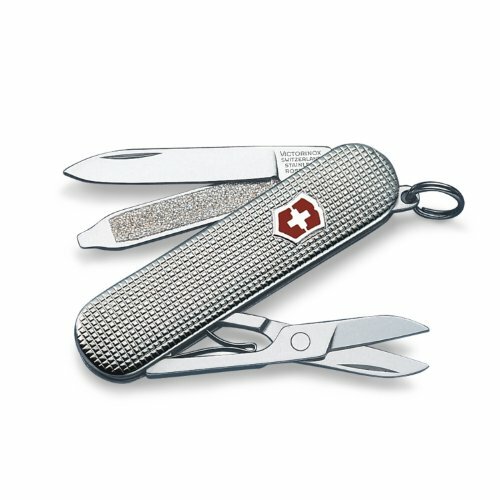 Victorinox’s Manufacturing Plant Ibach, Switzerland. 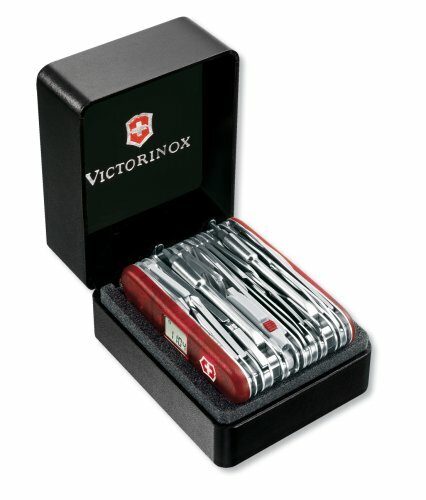 Victorinox started operation in 1884 as a cutlery workshop which delivered solldier knives to the Swiss Army. 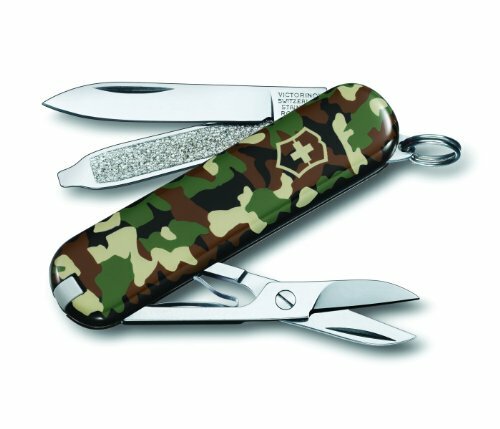 Karl Elsener was the original owner of this very sturdy knife company and created this knife with its many functions combined in a single tool. 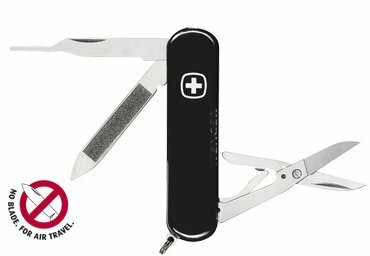 This invention has since become a legend in the knife industry and the company is world-wide known as Victorinox Swiss Army. 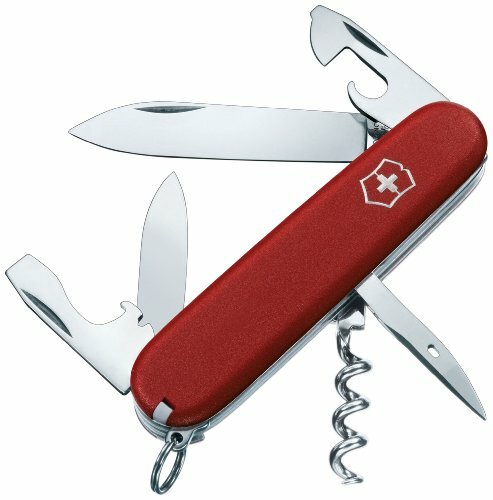 The SwissChamp XAVT is the ultimate Swiss Army knife! 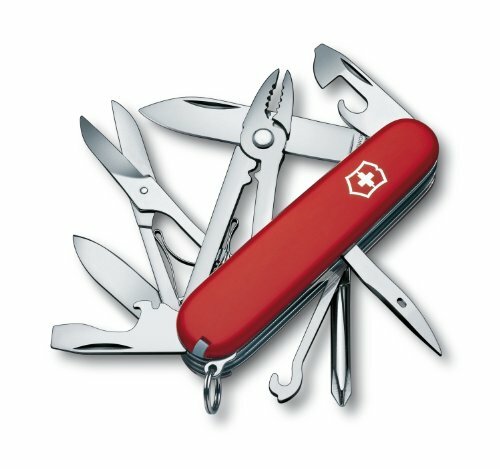 There are 80 essential functions packed into one awesome tool. 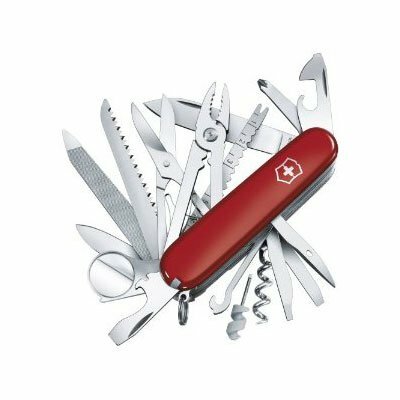 Other features include a barometer, a thermometer, a digital clock, a can opener, a corkscrew, tweezers, scissors, toothpick, fish scaler, ink pen, light, magnifying glass and so much more. 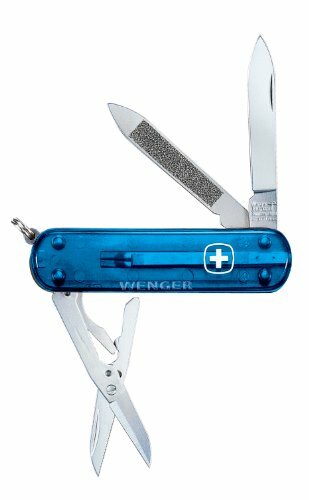 You’ll get several different blades, too. 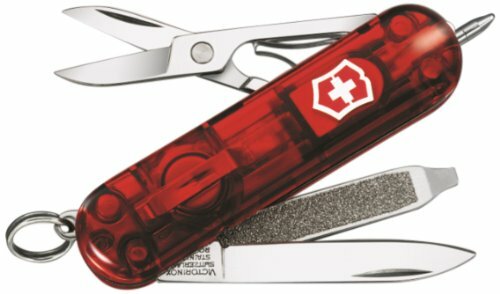 This comes in a gift box ready to give to the special people in your life! 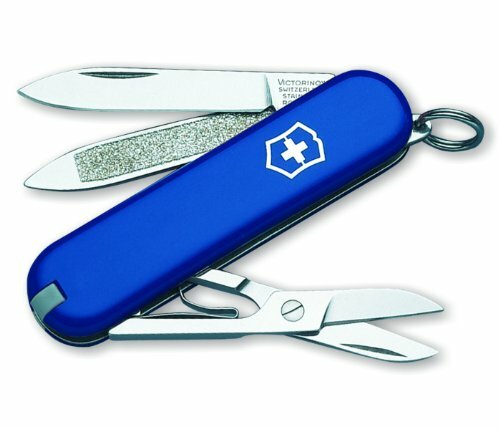 Although the knife is available in the traditional ruby red as well as a blue one, a sapphire colored one and a black version, this is the one I personally prefer. 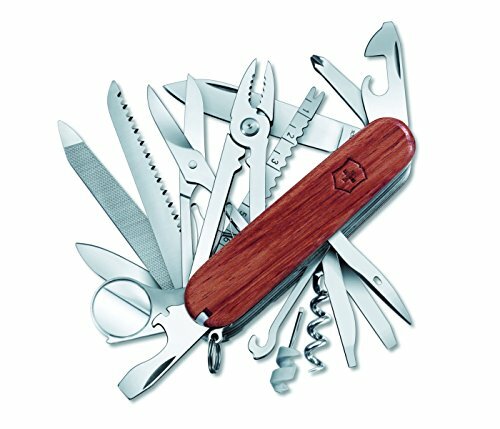 It is a hard wood with its naturally brown colored texture. 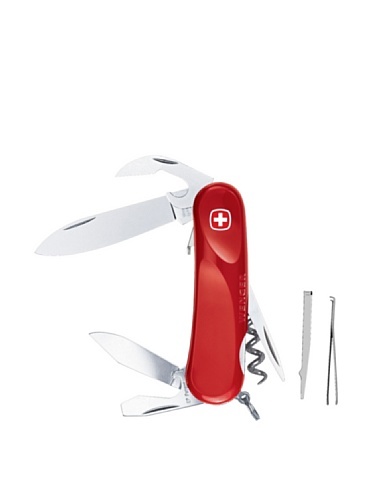 This beauty comes with 33 useful attachments. 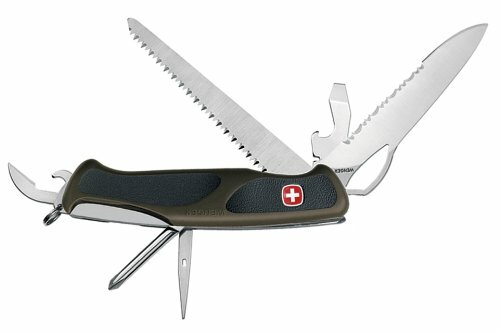 The 3 1/2″ SwissChamp packs an impressive punch. 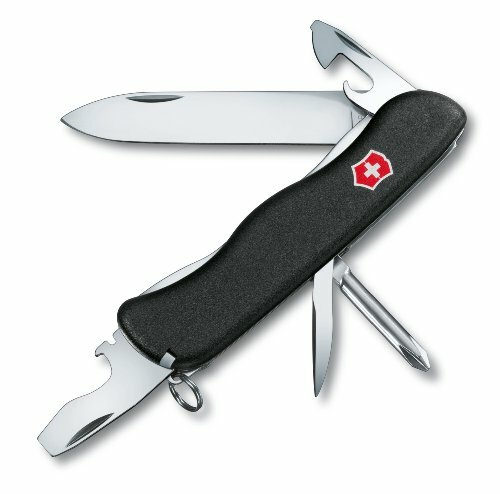 Despite its immense number of implements, the Swiss Champ still fits in your pocket. 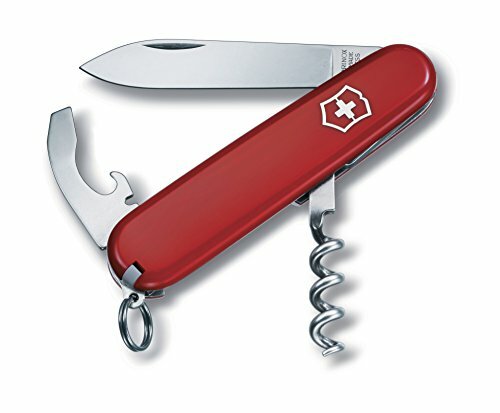 Constructed of durable stainless steel Swiss-Made, which means they have been built to last. 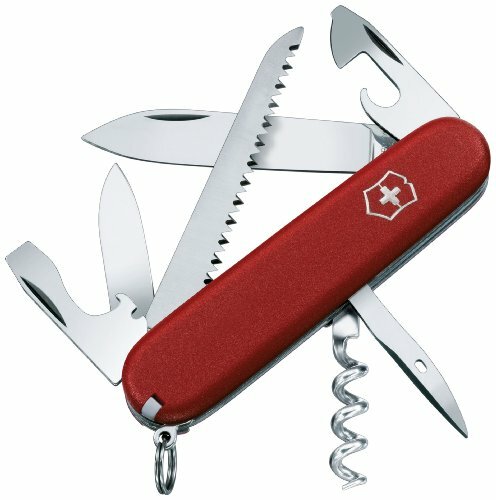 With 33 functions this tool is great for everybody. 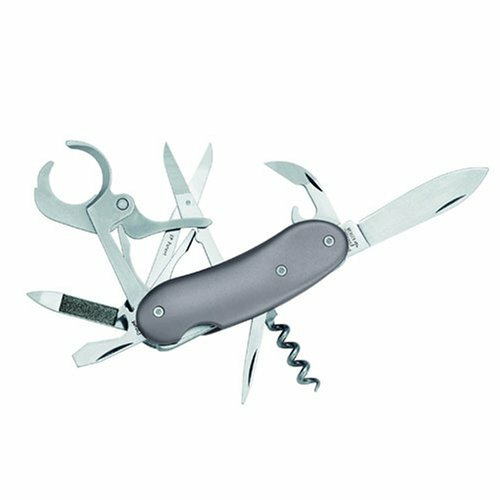 This compact multi-tool is handy around the house or when enjoying the great outdoors. 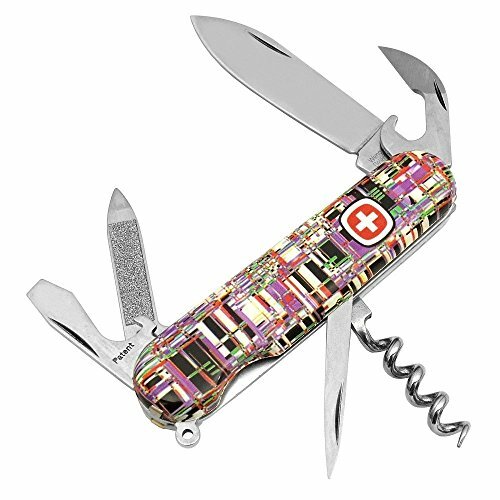 In addition to the traditional functions and normal implements on a Swiss Army knife, this one includes tools for computer freaks. See, there is a Swiss Army knife for everyone! 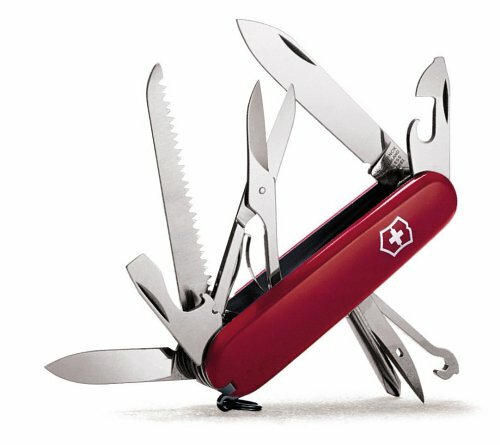 This tool is also great for your average handyman, electrician and anyone else who wants a cool multi-tool to carry with the everywhere they go! 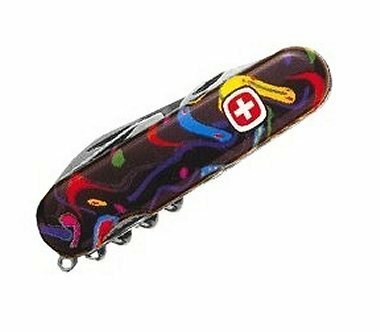 This particular knife is available in the attractive Barleycorn design, Hammered design and in polished silver. 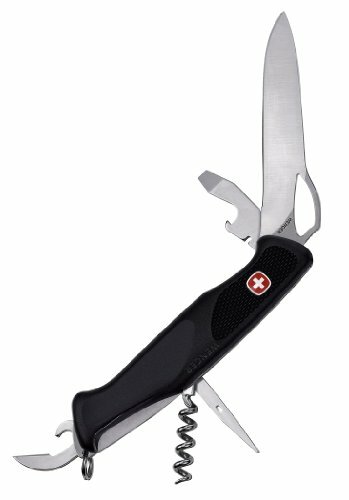 This Swiss Army knife is a terrific gift for a groomsmen or for any occasion such as a birthday or Christmas. 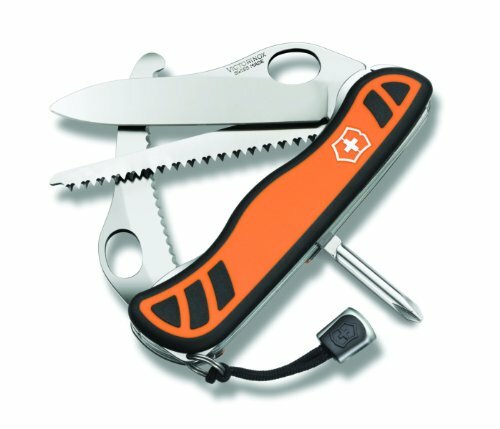 This knife is the only one recommended for an emergency kit, too! 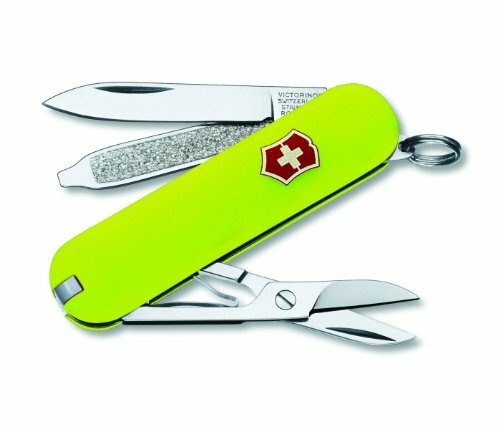 Choose the color and style that works best for you, and remember those on your gift-giving lists, too! 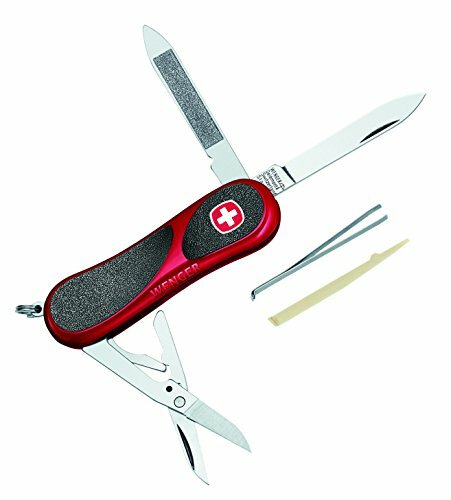 This massive Swiss army knife is ideal for collectors and includes 87 implements with over 130 functions! 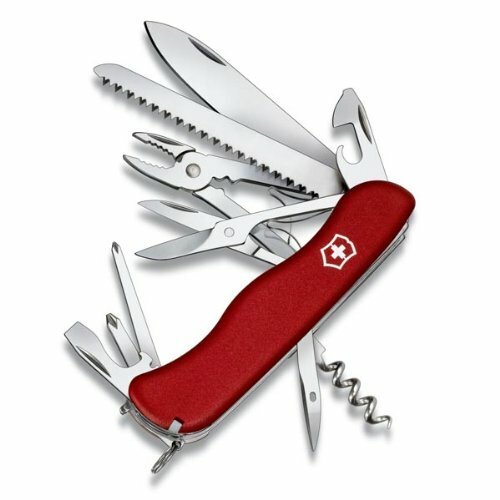 Everything you could possibly want in a Swiss army knife is on this one tool. 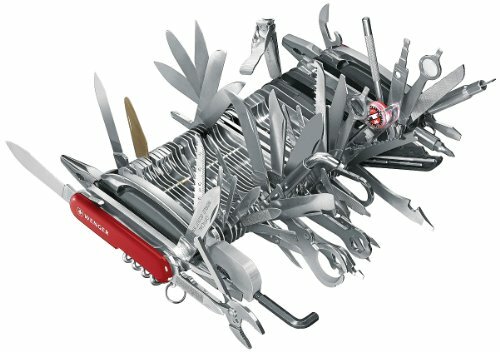 This is a great collector’s piece and a good ice breaker (in every sense) at technical training sessions. 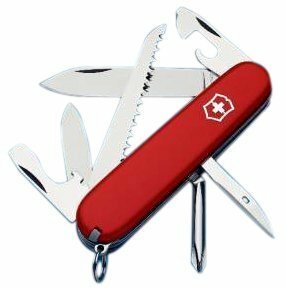 The first pocket multi-tool or Swiss Army knife was registered on June 12, 1897. 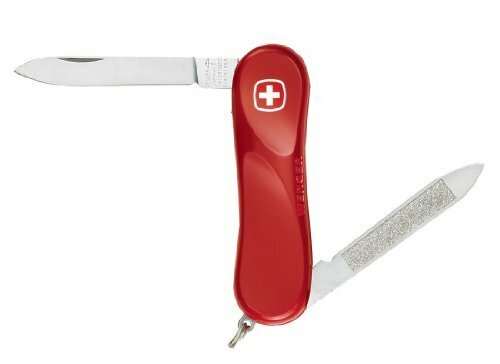 Can you believe that over 34,000 of these with the distinctive Swiss cross go out from the factory in central Switzerland on a daily basis? 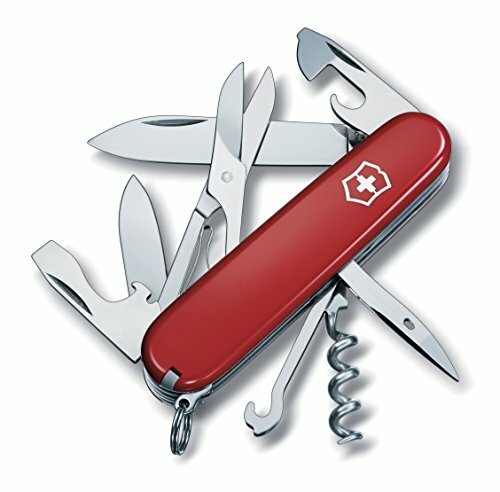 90% of those are for export to more than 100 countries and serve as ambassadors for Switzerland. 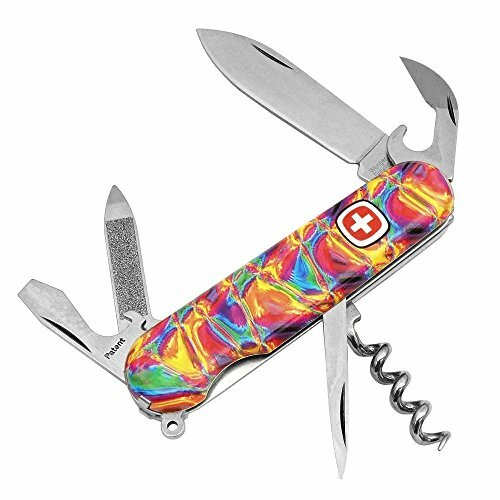 These make awesome gifts for any occasion, as well!